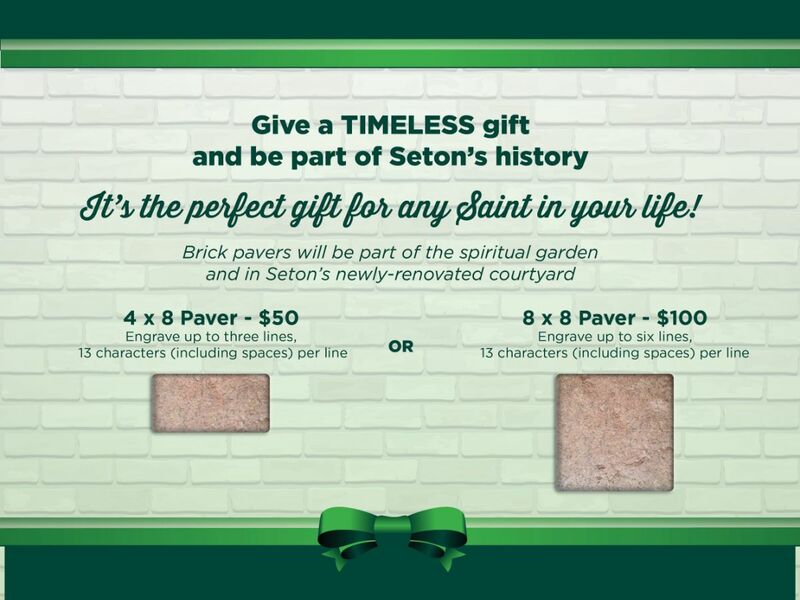 The last day to order pavers for Seton’s courtyard and spiritual garden will be April 1, 2019. You won’t want to miss out on this unique opportunity to be a part of Seton’s history. This is a great idea to commemorate a big reunion year or for the Saint in your life who is about to graduate! We have had a great response so far and we’re excited for construction to begin on the new cafeteria and courtyard in just a few weeks. Thank you for your prayers and support! Copyright © 2017 Seton High School All rights reserved.